We only have a few spots left for our first ever Winemaker Educational Seminar on Saturday, May 21st during Wine Festival Weekend at ONX Estate Vineyard. Hosted by Associate Winemaker Jeff Stekas and Enologist Drew Nenow, this seminar will focus on the vineyard after bud break and what to expect during the 2016 growing season. 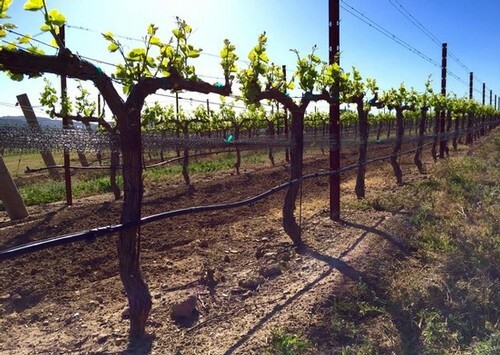 We will start with an extended walk through the vineyard, discussing and observing the current state of the varietals on the property, how El Niño has impacted the vineyard over the Fall and Winter, and get an update on the newest vineyard plantings. During the journey, we will taste a few wines along the way and finish the afternoon with a casual lunch at the Tractor Shed with Jeff and Drew. This will be an excellent opportunity to get all your lingering questions about the vineyard answered. Please note that this event will be held outdoors and include quite a bit of walking, so be sure to bring your hat, sunscreen, and wear comfortable walking shoes. This is a very limited event with only 20 spaces available. To purchase tickets click here. We hope to see you in the vineyard.